Hangover Prevention Pills: Do They Work? Pills to prevent hangover have become a popular option for people who would like to avoid the headaches, nausea, and other issues that develop the day after a night of drinking. The question that remains is whether or not there a pill that prevents a hangover is real or not. There are many of these products on the market already, and they have different mechanisms in which they work to help prevent a hangover and, in some cases, even treat existing hangover symptoms. Do hangover prevention pills work? A prevent hangover pill is sometimes recommended to a person who feels under the weather. Many companies have already released these products on the market. While some people believe that a pill is the best hangover prevention strategy, others state that these products are bogus and holds no real value. In terms of whether these pills work – there is little research to support any claims made. Some ingredients have been shown to help to improve symptoms associated with a hangover possibly, but many of the commercially-available pills do not contain these ingredients. Glutathione currently has the most promising scientific evidence regarding the compound’s ability to relieve hangover symptoms. Most of the modern options on the market aim to rehydrate the body through the inclusion of electrolytes, as well as to replenish minerals and vitamins that might have been lost due to excessive alcohol intake. Some supplements will also contain herbal extracts to assist in flushing toxins from the body. There are also a few that contain an analgesic, such as aspirin, to assist with the headache and other pain-related symptoms that a patient may experience. In the end, it really depends on the person who takes the pill. For some people, these pills may help to alleviate some symptoms that they are experiencing. For others, alternative options may need to be utilized, or the individual will have to continue drinking water and simply wait for the symptoms to pass on their own. First up on the list of pills to help readers understand how to prevent hangover possibly with a pill is the Flyby Hangover Prevention & Recovery Pill. This is a multifunctional supplement that includes different combinations of ingredients to target the various effects that alcohol tend to have on the body. The supplement’s primary ingredients include organic milk thistle, prickly pear extracts, and Dihydromyricetin. A study led by the University of California found that Dihydromyricetin is one of the few natural compounds that may assist in reducing the toxicity of alcohol on the body. Furthermore, the study also found that the ingredient may reduce withdrawal symptoms – which means hangover symptoms could be reduced with the use of this supplement. The supplement also contains N-acetyl-cysteine, which may assist the body in breaking down the toxins that are released by alcohol. The supplement also contains essential vitamins and minerals. A single bottle of Flyby Hangover Prevention & Recovery Pills costs $17.99. This includes a total of 30 capsules. Drinkwel for Hangovers is another highly-rated and popular supplement that people tend to opt for when a hangover strikes. This is a health supplement that focuses on providing the body with a range of ingredients that can help to fight against the harmful effects that alcohol exhibits. 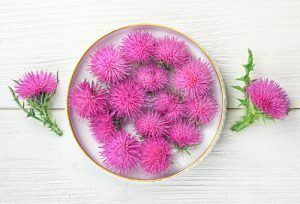 The primary ingredients include a combination of botanical extracts, which consist of organic Reishi mushroom extract, organic Milk Thistle extract, and Artichoke leaf extract. This combination helps to support the function of the liver while expelling the toxins created by the alcohol. N-Acetyl Cysteine is also added to the formula to assist in the processing of alcohol-related toxins. The supplement also contains a number of superfoods, including Goji berry extract, Schisandra, and Acerola, to provide the body with a range of phytonutrients and antioxidants. Added vitamins help to boost the immune system. A 30-capsule bottle of Drinkwel for Hangovers costs $39.99. Revil Serious Liver Support & Liver Detox primarily focuses on the effects that alcohol has on the liver, making this an important supplement for someone who overindulged in alcohol. Alcohol tends to have a significant impact on the liver and causes the accumulation of several toxins in this organ – the liver then needs to expel these particular toxins from the body. This causes the liver to become stressed. The Revil Serious Liver Support & Liver Detox supplement combines a range of important vitamins and minerals that are often depleted with excessive alcohol usage, with a number of herbal extracts that may help the liver expel the toxins faster and reduce the damaging effects that these toxins have on the liver. The herbal extracts include Grape seed extract, Alpha Lipoic Acid, R-Alpha Lipoic Acid, Resveratrol, Artichoke extract, organic Milk Thistle extract, and more. A single bottle of Revil Serious Liver Support & Liver Detox costs $29.99 and contains 90 capsules. The ISDG Turmeric Essence for Hangover, Liver Protection & Support claims to be a highly effective supplement to assist in alleviating nausea, headaches, and related hangover symptoms. The supplement primarily includes turmeric extract, along with cellulose and dextrin. The supplement does not provide a comprehensive overview of the included ingredients, such as the dosage of turmeric or curcumin included in each capsule. Even though studies have found that curcumin at low doses may yield protective effects in terms of liver damage caused by alcohol, the fact that the dosage of curcumin in these pills is not revealed is certainly problematic. While a protective effect may be yielded for the liver by this supplement, it is unlikely to help prevent hangover symptoms. ISDG Turmeric Essence for Hangover, Liver Protection & Support does come with a money-back guarantee. The supplement costs $36.70 for a 90-capsule bottle. HPF Hangover Prevention Formula is a supplement that only utilizes a single ingredient that has been researched in clinical trials to assist in reducing the symptoms that comes with a hangover. The ingredient included in this product is known as Prickly Pear – or Opuntia ficus indica. There is a moderate reduction in hangover symptoms with the use of Opuntia ficus idica extracts. The most significant benefits were observed in terms of nausea and dry mouth. Other symptoms were not affected as much. HPF Hangover Prevention Formula claims to work for as long as 72 hours with a single dose of the pills. Furthermore, this product is most effective when taken before drinking, according to the manufacturer. The manufacturer also claims that this supplement is completely safe and will not impose any type of side-effects in the user. The cost for a single container of HPF Hangover Prevention Formula is $24.95. Alcaid is another highly-rated option that many people seem to opt for when it comes to alleviating the symptoms of a hangover. This is another preventative option that helps to support the liver while alcohol is being consumed, as well as to possibly prevent the occurrence of nausea, headaches, and the other symptoms that a person usually experiences when they have a hangover. In addition to supporting the liver, Alcaid also includes electrolytes in order to assist with re-hydrating the body. The product primarily utilizes the ingredients Prickly Pear extract and DHM. Both of these ingredients, as previously noted, has been researched and proven to be at least somewhat effective at reducing some symptoms associated with a hangover. The addition of L-Cysteine N-Acetyl, along with vitamin C, helps the body fight against oxidative damage imposed by alcohol. A bottle of Alcaid costs $22.95. Chaser is a preventative strategy that may assist in reducing the effects that alcohol will have on the body. The supplement is taken with an alcoholic beverage – preferably the very first drink that the person would have. More tablets are taken later on during drinking – the specific number of supplements to be taken depends on how many drinks the person will have during the night. There is a maximum dosage of eight capsules, however. This supplement is also not recommended for any person who is younger than the age of 21. The product combines a wide range of ingredients, including Calcium, Croscarmellose Sodium, Magnesium Stearate, and more. The idea is to assist the liver in the processing and digesting of alcohol, as well as to ensure the body can effectively get rid of the toxins that accumulate due to the alcohol. Hangover Destroyer is a supplement that comes in a liquid form instead of a capsule, like most of the other hangover pills that are available on the market. The product was developed to assist in the metabolism of alcohol, to improve overall liver function, and to assist in influencing the GABA-a receptors in the body. The goal is to help reduce the effects of alcohol on the liver and the rest of the body and to help a person get up the next morning without a headache or other hangover symptoms. The product primarily relies on the potency of Dihydromyricetin to assist in providing the claimed functions. In addition to the inclusion of Dihydromyricetin, the supplement also contains flavonoids, amino acids, and multiple antioxidants to reduce oxidative stress and damage. Added MTC oil helps to improve the absorption of the active ingredients. Five sachets of Hangover Destroyer costs $19.50. The supplement comes in two flavors, including Mint and Cinnamon. Purple Tree Hangover Cure & Prevention Pills, as the name suggests, is a product that can be used to both prevent a hangover and to treat existing symptoms in a scenario where the symptoms have already developed. One of the main functions provided by Purple Tree Hangover Cure & Prevention Pills is to replenish the specific vitamins and minerals that are known to be lost with the use of alcohol. This can help to balance nutrients in the body and support the immune system, which is significantly affected by excessive alcohol consumption. The supplement also includes Dihydromyricetin, along with N-Acetyl L-Cysteine and Willow Bark to ensure the liver is able to keep up with the toxins that are released by the alcoholic content consumed. This is definitely one of the more affordable options on the market. A container with 24 capsules costs $9.95. Dihydromyricetin has been scientifically proven to assist in the alleviation of symptoms that are associated with a hangover, as well as to help support the body’s natural functions during the process of detoxification after excessive consumption of alcohol. This particular supplement, produced by the Naturebell brand, utilizes this ingredient in order to help the user overcome their hangover. The supplement contains one of the most potent doses of Dihydromyricetin currently on the market, with a supply of 350mg per dose. The product does not contain added sugars, soy, dairy, or gluten, making it a safe option for most individuals who would like to avoid the dreadful effects of a hangover. There are 60 capsules in each bottle. A bottle of this product costs $18.95. Miracoal Hangover Prevention Capsules is quite different from the usual hangover pill that is found on the market. Instead of including botanical extracts to help support the liver’s function, this particular supplement rather focuses on the inclusion of coconut charcoal. Even though promoted as a “prevention” option, it should be noted that these capsules should be taken after drinking. Activated charcoal is known to assist in removing impurities and toxins as the substance comes into a compact with harmful compounds in the body. Thus, the idea behind this supplement is that the charcoal will be able to remove the toxins imposed by alcohol from the digestive tract and dispose of the impurities effectively. There is no research supporting the idea that charcoal may be effective in reducing hangover symptoms, but research has found that charcoal may be helpful in removing impurities. Each container contains 100 capsules in total and costs $25.64. Are Hangover Pills A Good Idea? 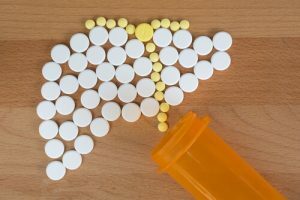 Whether looking at how to avoid a hangover when already drunk, an option for before drinking, or rather a solution for the time when the hangover sets in, there are many pills on the market that can target all of these issues. Whether a person should opt to prevent hangover pills, however, tend to vary from one to another. It also comes down to the specific ingredients found in the pills. Some research does support the use of certain ingredients in “curing” a hangover. The best hangover prevention pill should ideally include heavily researched ingredients. Unfortunately, however, this is less than often the case. In addition to utilizing a pill to prevent a hangover, a person may also look for the best food to eat before drinking, and ensure they consume adequate amounts of water to keep their body hydrated. If a person starts to take hangover prevention medications more and more often, this may be a worrying symptom. Visit the rehabilitation medical facility and consult with a doctor about problematic alcohol use. Alcoholism treatment starts with admitting the problem. 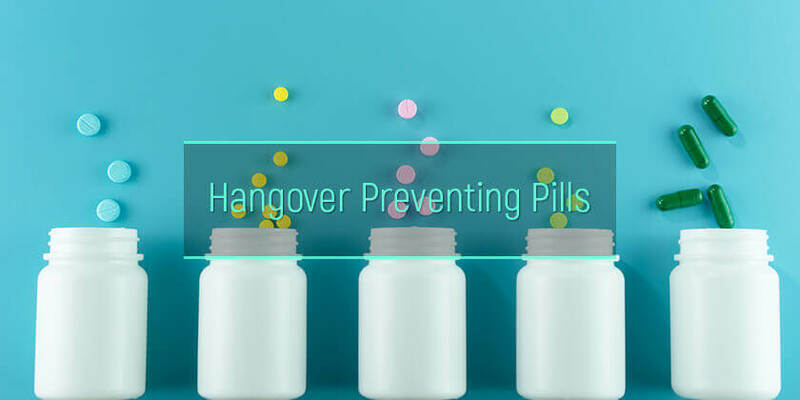 AlcoRehab » Hangover Symptoms, Causes, And Side Effects » How To Prevent A Hangover: Ways To Avoid Veisalgia » Hangover Prevention Pills: Do They Work?